Two prominent local developers have acquired a substantial residential development site in Devon Park for $6.05 million – following a highly competitive sales campaign. 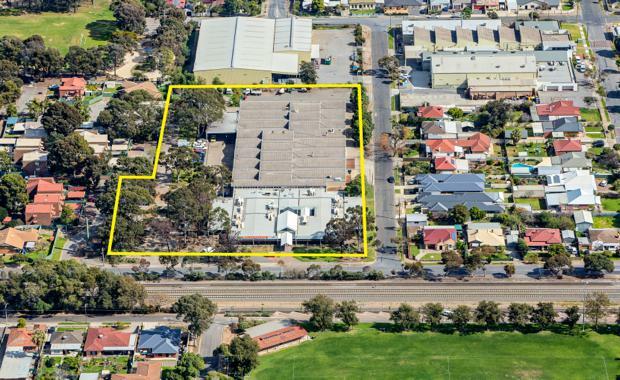 The 14,247sqm property, located at 33 Exeter Terrace, features three street frontages and prime location in close proximity to Dudley Park train station, Prospect and North Adelaide, and Churchill Shopping Centre. CBRE’s William Brown and Ben Heritage sold the property via a competitive Expressions of Interest campaign. Mr Brown said the property’s development potential and prime location only 5.5km north-west of the CBD were key selling factors. “The purchasers intend to capitalise on the sites new medium density zoning, with plans to develop 49 Townhouses and 42 apartments on the site,” Mr Brown said. The project, named “Park Link”, is being led by Qattro under their land to living model and will present an affordable product to the Adelaide residential market. The development is expected to be launched to the market at the end of August."